This sign is a great unique piece to add to a collection. 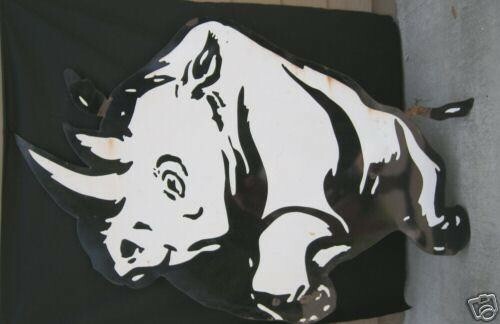 At 39″ by 57″ the Rhino die cut makes a great addition to a wall. The sign is black and white and has no text. This is just a great piece to look at.